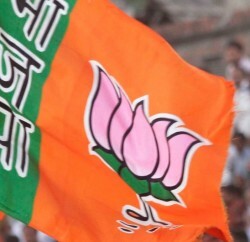 In the review meeting of the state unit of BJP at Una, party leaders believed that wrong choice of candidates, presence of strong rebels and internal feud had contributed to BJP’s defeat in 2012 Himachal Pradesh assembly polls. The meeting was convened to find out the reason of defeat in the assembly poll, where BJP could manage 26 seats in 68 assembly segments. The meeting was attended by party candidates, district and block BJP presidents and other state leaders, however former chief minister Prem Kumar Dhumal and party Vice President Shanta Kumar stayed away from it as they wanted (party chief claimed) to allow low rank party workers to speak openly. Earlier, it was the expected that meeting would remain stormy with leaders from warring factions blaming each other for the defeat but all went peacefully. Candidates and leaders from districts blamed factionalism and wrong distribution of tickets for the defeat. However some leaders from Kangra have totally different views and attribute the defeat for ignoring the workers of Kangra district for the defeat in the district. They alleged that the party top leadership even did not make any attempt to redress their grievances. A section of party workers from Kangra districts believe that the few wrong ticket allotment goes wrong for the party prospect and therefore resulted in decimation of the party from ten to three seats. The party co-incharge Shyam Jaju believes that the reasons for the defeat are “internal and he claimed that BJP did not lost to Indian National Congress, but to its own people and faults. He said that causes of election lose could be given any name like factionalism or wrong distribution of tickets, but he believes that party were capable for ‘Mission Repeat’. He feels that with the given candidates still party could have increased its tally but again party’s poll management at local level at some places was very poor and cost couple of seats. 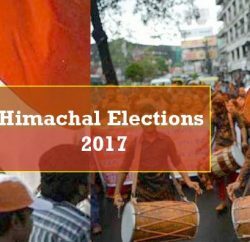 Jaju claimed the people of Himachal were with the party and supported the policies and achievements of the government but said strong rebels in about one and half dozen Constituencies scripted the defeat of the party. The state party chief Satapal Singh Satti said that reports from each block were presented and discussed at the meeting. He added that the candidates, both elected and defeated, gave their views citing reasons that worked in their favour and against in the poll. He claimed that free and frank discussions were held during the review meeting. Satti said that on the bases of feedback and reports from each blocks a comprehensive report would be placed before the core committee at its meeting next month for further action.